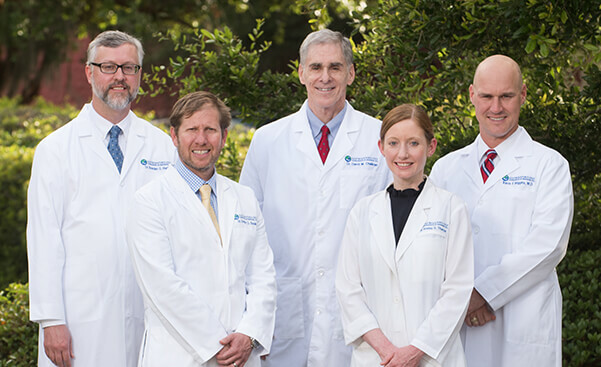 Recognized excellence in clinical outcomes and patient satisfaction makes Gastroenterology Consultants of Savannah one of the leading digestive disease health care facilities in Coastal Georgia. Our physicians are board certified in both internal medicine and gastroenterology. Our outpatient ambulatory surgery center, the Endoscopy Center of Coastal Georgia, is located adjacent to our main building on Stephenson Avenue. Since 2003, we have performed over 12,000 procedures in our state-of-the-art facility. Now, endoscopic procedures can be performed at your convenience in our pleasant and high quality environment. If you’re considering surgery in an ambulatory outpatient center, make sure it’s an accredited facility. Accreditation is important, because an outside independent agency performs rigorous inspections and certifies that the center is in accordance with rules, regulations and standards for high quality care. From the day we opened our doors, we’ve been fully accredited. One of the biggest challenges facing today’s health care is having access to high quality physicians. If you need to be hospitalized, GCS has hospital privileges at St. Joseph’s Candler and Memorial Health. GCS is always striving to improve high quality health care. Be seen closer to home. We offer appointments in Savannah, Pooler, Springfield, Richmond Hill and Bluffton.